I enjoyed Designated Survivor. Action-packed, reality of a family in the White House. Wish it had not been cancelled. I will definitely follow the program if it moves to Netflix. ABC blew that one for cancelling. Designated Survivor was a good show. Yes, a couple of mid-season 2 episodes lacked some content, but It picked up again in the last few episodes. ABC doesn’t know how to look ahead anyway. Start to like a well produced show and it gets cancelled!! Meanwhile shows like Survivor, The Goldbergs, The Bachelor, and Big Brother endure. Makes no sense at all!! This show had so much potential but I lost interest quickly, especially Sutherlands whispery dialogue. It got annoying and made the POTUS look like a complete wuss. The show Designated Survivor. Is riveting. It kept me wanting to identify with how I would want to support my country. I could not believe the news of the cancellation of this show. It was the only series show I watched! One of my all time favorites. The only reason this show should be cancelled (or skip a year and then return) is if 24 is coming back with Kiefer Sutherland. Amen! I enjoyed 24 more than any serial TV program. I know that the time frame was ridiculous and some of the plots were impossible (like blowing up reactors remotely) but it was sure fun to watch. Really hope you bring this show back! I think its a mistake to xanxel this show. I found it very entertaining and was looking forward to another season. 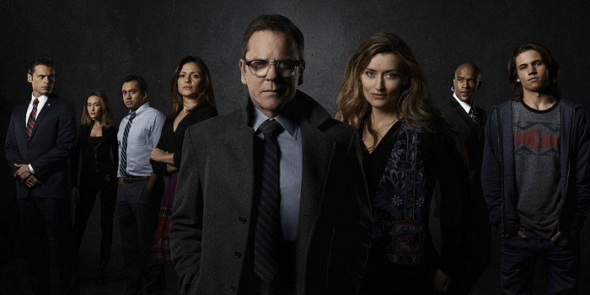 I really love the show and I absolutely love “Jack Bauer” I think the content is extremely clever and the writers should go back to the writers room and channel there inside informer / full disclosure / exposure! It also allows the American’s to relate to the White House in a more human way! How can you go wrong with that angle! LOVE LOVE LOVE THE SHOW! I don’t know what you people are thinking…this was a good show!! Was it because it was a pro-government show…I think this show doesn’t meet your pro liberal agenda!! SHAME! FAKE NEWs!! I’m so sorry to see this show get cancelled and then to see Will and Grace not get cancelled. SMH!!! Because W&G fits their liberal agenda!! Fake news!! totally agree! and because ABC is slanted in their views and has now cancelled most all of my shows, I CANCELLED ABC……They don’t know how to run a network.